For most clients, when it comes to any medical aesthetic treatment, the word “natural” is key. While dermal fillers are used in places like the forehead, cheeks and lips, there are several other areas that clients are requesting for natural-looking results. 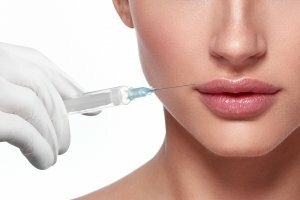 Here we’ll discuss four unexpected dermal fillers trends you’ll discuss during Botox training at National Laser Institute! Generally, the chin and jaw are the root-cause of why a client is unhappy with their lips and overall facial symmetry. Fillers can be injected into a concave, weak chin, making the lips appear fuller and the face more symmetrical. If patients grind their teeth at night, the repetitive motion may cause the chin to flatten prematurely. Dermal fillers administered to this area can immediately counteract this effect. Dermal fillers can help undo sagging that occurs from age, gravity and heavy earrings. These cosmetic injections last approximately a year and help contribute to an overall rejuvenated appearance. As a bonus: your client’s earrings will look better! There is no downtime with this treatment, but your clients should wait a few days before wearing any of their favorite over-sized earrings. Have your clients complained of crepey-looking skin or necklines? Hyaluronic acid fillers can help rejuvenate the neck, making their neck look younger and more radiant. Did you know the body stops producing collagen at age 25? The hands are generally the first place to lose fat. This results in a hollowed-out, aged appearance that can be plumped with filler. This makes veins less noticeable and helps smooth out the skin. Are you a physician, nurse or medical professional looking to supercharge your earning potential? Consider Botox and dermal fillers training at National Laser Institute! In just two days you can learn aesthetic treatments like Botox (botulinum toxin), dermal fillers (Restylane, Perlane, Juvederm), Kybella, Sclerotherapy and more. With over a decade of excellence, our CE/CME training courses combine classroom education and clinical hands-on training for the ultimate learning experience. The didactic portion of the course will teach you everything you need to know about the various types of neurotoxins and fillers, the aging process, indications for Botox treatments and safety. Clinicals are spent in a medical spa environment where you will observe comprehensive Botox and fillers demonstrations no more than a foot away from the training bed, and you will administer these cosmetic treatments on real, paying clients. For more information on National Laser Institute’s continuing education courses, fill out the form on your right or give us a call at 1-800-982-6817.